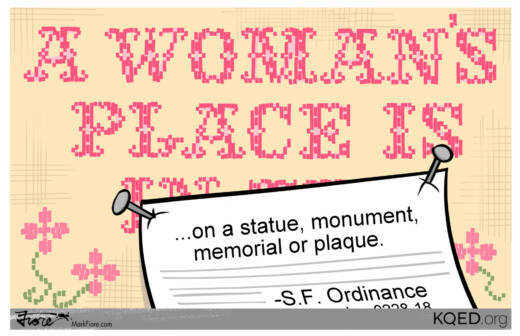 The San Francisco Board of Supervisors voted unanimously on Tuesday to mandate that at least 30 percent of historical figures depicted in statues and other artworks on city-owned property be women. Currently, the San Francisco Arts Commission collection of 87 "sculptural monuments and memorials" only contains two women: a statue of Sen. Dianne Feinstein inside City Hall, and another of Florence Nightingale outside Laguna Honda Hospital. The first work of public art planned under the new ordinance is a tribute to Maya Angelou, slated to be installed outside San Francisco's Main Library by the end of 2020.